Raise a glass to toast away the chill, enjoy the town's charms on a horse carriage ride, warm up with soup and watch lanterns rise into the sky. The key to enjoying a long winter in the Northwest is to embrace it. For many winter lovers, a big joy of the season is the cold weather – not because we enjoy getting cold, but because we like getting warm with a strong adult beverage. As the song goes: when the weather outside is frightful, the drinking can feel so delightful. 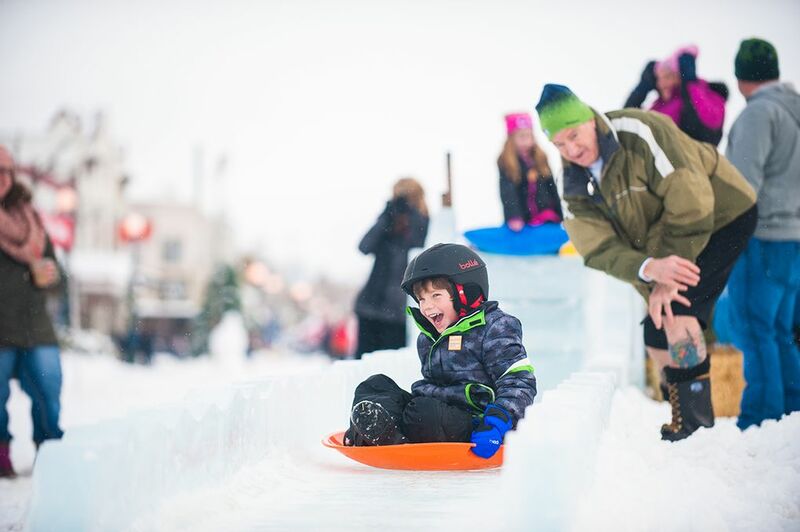 The central Washington town of Lake Chelan has been hosting Winterfest for nearly 30 years. 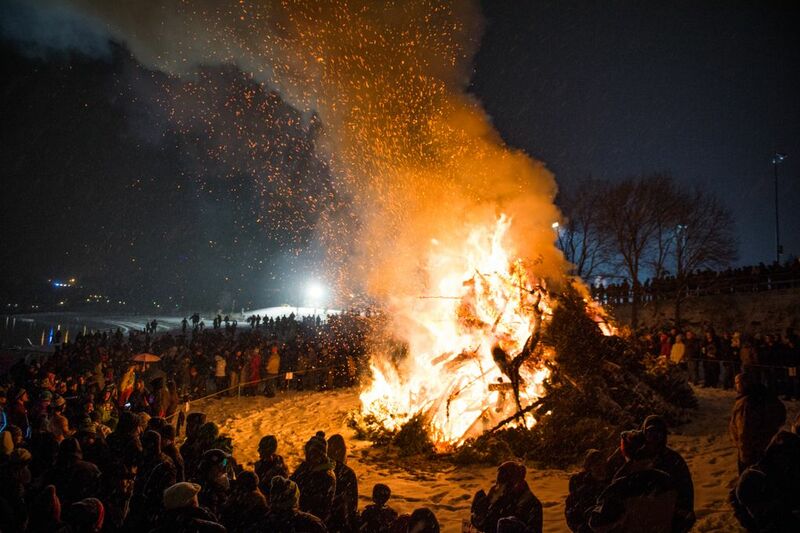 It’s a festivus of face paint, live ice carvings and bonfires. 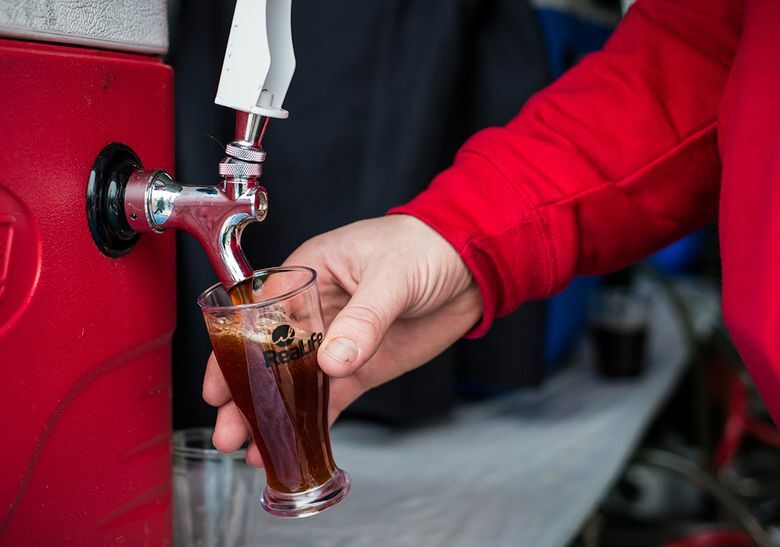 Think Oktoberfest in January, but instead of only beer, famous Lake Chelan red and white wines, bubbles and bloody marys will play an important role in making the festival one of the brightest events of the season. Sure, you could sit by a fire and read a book, but isn’t it way more fun to heat your cheeks with a frothy mug of ale or large glass of chardonnay? ’Tis the season to be cheerful, and toast with friends. 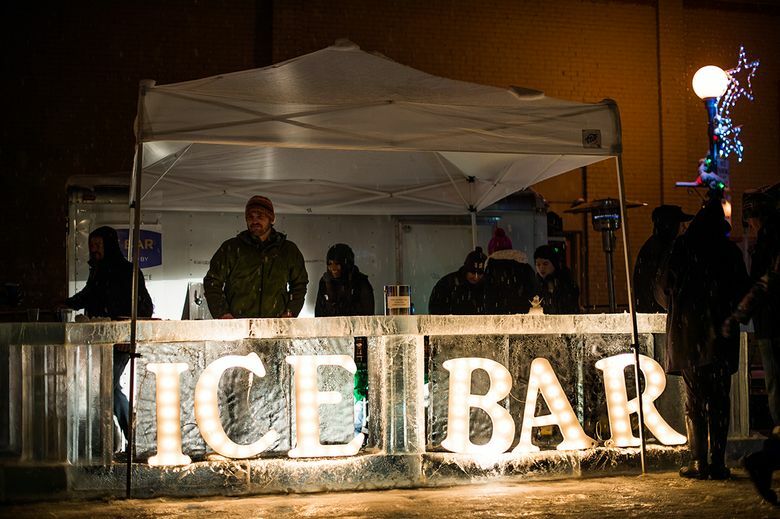 Here is some of the liquid fun you can find at Winterfest this Jan. 13-15 and 20-22. Come and be merry! Lake Chelan has become a hotspot for Washington wines. The hot summers and glacially carved soil around the lake make Lake Chelan a vintner’s delight. This subset of Northwest wines can be experienced on a normal wine tour, but at Winterfest, the wineries gather together under tents along Main Street. Tour the entire region by walking mere steps! With over 30 wines and varietals to choose from, it might be difficult to choose just 10. The VIP Wine Walk adds additional tastings of exclusive wines plus the chance to rub shoulders with the winemakers who brought them to life. An excuse to go wine tasting should be reason enough to load up friends for a road trip. But wait – there’s more! Have you noticed that you almost never meet someone in a bad mood when they’re sipping a glass of bubbles? There’s something about the joyful carbonation that makes the world seem like a better place. The Lake Chelan Valley is producing some exceptional sparkling wines and the Bubble Bar is your chance to sample some of the local favorites over a light brunch while learning about the unique characteristics of those from Lake Chelan. People in the Northwest love beer (that’s right, Captain Obvious is in the house). But for those who are really serious about their beer, look no further than Alefest. This isn’t some afterthought side tent with a half a dozen beers on tap. Oh no, my friend. Alefest is a celebration of hops, grains and fermentation. Over 50 unique craft beers, hard ciders, pale ales and unique-style ciders from the Northwest are on hand, including many from the Lake Chelan valley. The event includes six 5-ounce tastings with extra tokens available for $2 each. 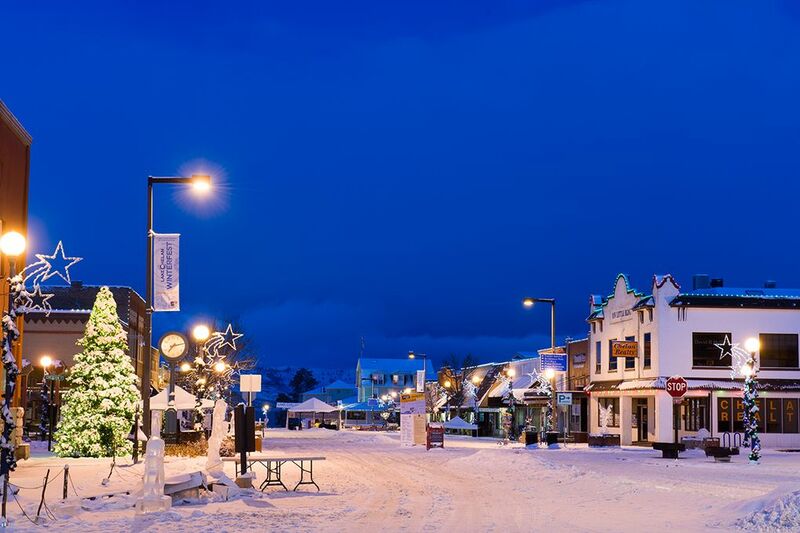 For the second weekend of Winterfest, the town of Manson celebrates that fact that it’s always five o’clock somewhere. Mixologists from local bars and restaurants compete in a battle of bloody marys – also known as the drink that feeds you. Unlike most cocktails, there’s a lot of leeway in what you can throw into a bloody mary. The competition brings out bartender creativity forging original creations in this new Winterfest event. Put in your vote for who mixes it best. At some point, you’re going to have to slow your roll and pace your drinking with a little food. And who doesn’t love a steaming bowl of hot soup when the weather is chilly? For liquid fun of the edible variety, Soupfest is the chance to sample the great restaurants in the valley. Entrance is free with a Winterfest button. Vote on your three favorite soups to help choose the Winterfest Soupfest Champion. 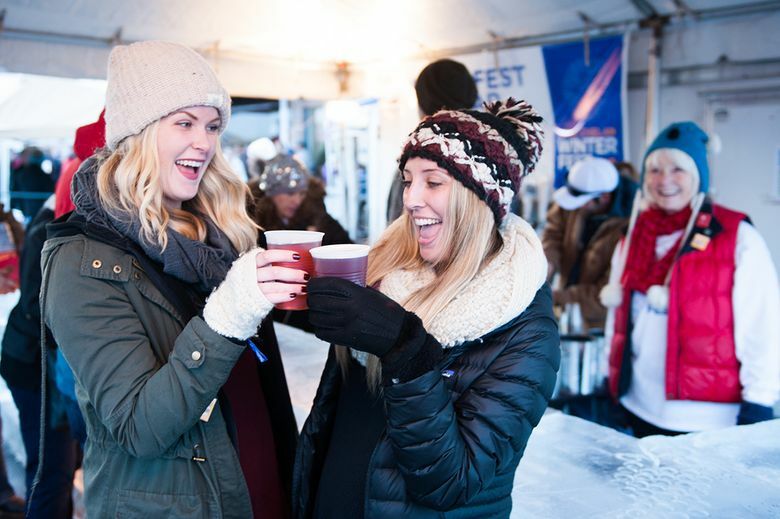 Kids, non-drinkers and designated drivers can have a blast at Winterfest, too. 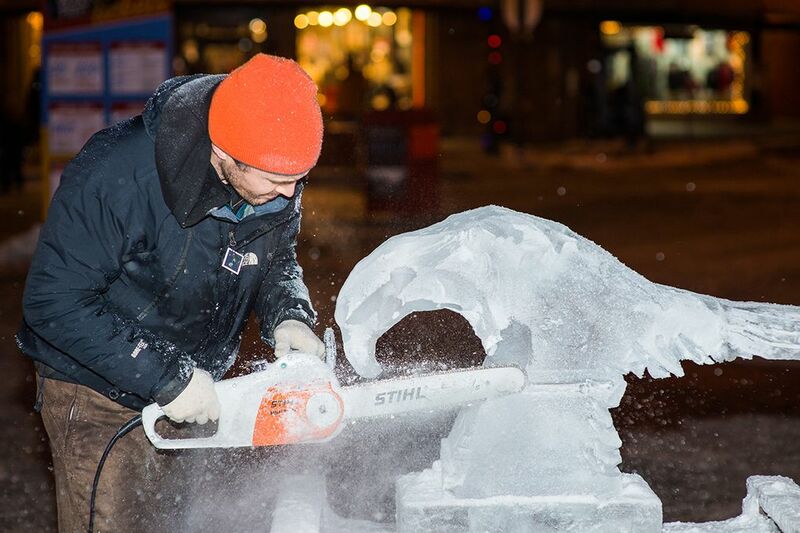 Here are just a few of the many highlights: live ice sculpting, a massive beach bonfire, horse carriage rides, a fireworks show, floating wish lanterns, a polar bear splash, live music and more. 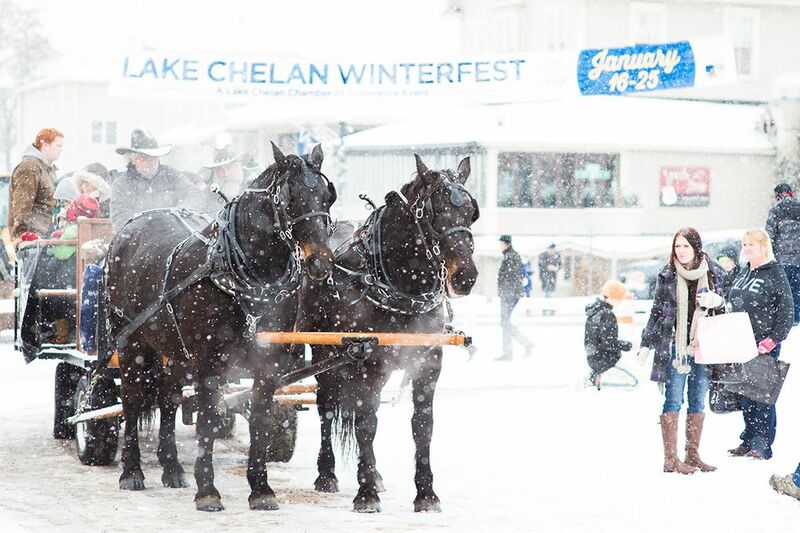 Escape to our winter wonderland: Lake Chelan Winterfest plays host to Washington’s most exciting winter festival. Glide over the snow in a horse-drawn carriage, sip at our wine walk or watch hundreds of wish lanterns rising to the stars.